Over the past few decades, there’s been a major shift in the consumption of sweeteners, from artificial substances to natural plant extracts like agave and stevia (and, in some cases, back to regular old sugar). But in all that time, pure maple syrup’s been a constant, versatile sweetener that also happens to be one of the healthiest. We collaborated with PadillaCRT to create this photography-driven infographic that hails the health benefits of pure maple syrup and gives a few tips for integrating it into everyday cooking. Millions of people worldwide live with everyday violence—one of the most tragic epidemics of our time. Our partners at the International Justice Mission are hoping to change that, and we were lucky to help. 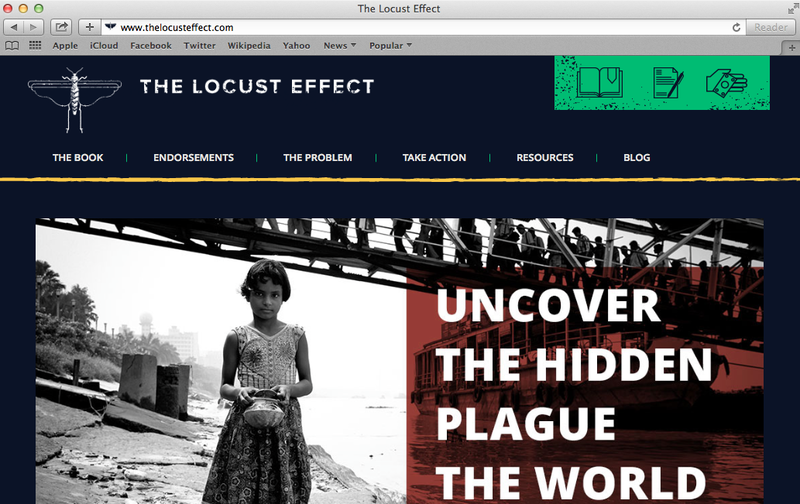 We created a comprehensive website to help promote the new book, The Locust Effect, and its related social campaign. The site features information about the book, education resources, videos and stories to encourage visitors to connect and take action. When Kelly-Moore Paints told us they wanted to reach DIYers with a passion for color, we couldn’t wait to put a fresh twist on classic color wheels and palettes. For inspiration, we turned to our favorite albums. Color and music are both about evoking emotions; why not combine them? We listened to our favorite albums, assigned a color to the emotion each song evoked, then created beautiful abstract visualizations with the color palettes. Creating shared value is a way for businesses to shift their thinking and find profitable solutions to the world’s problems. We partnered with FSG to design a comprehensive report to educate readers about the power of shared value. But we knew site visitors might not be enticed to download a full report without a proper teaser. To make that teaser more interesting and engaging, we made it an interactive experience, guiding visitors through the report highlights and relevant information. Alternative investments are a new trend in the financial world, but both investment professionals and everyday investors need the right information to make the right call. 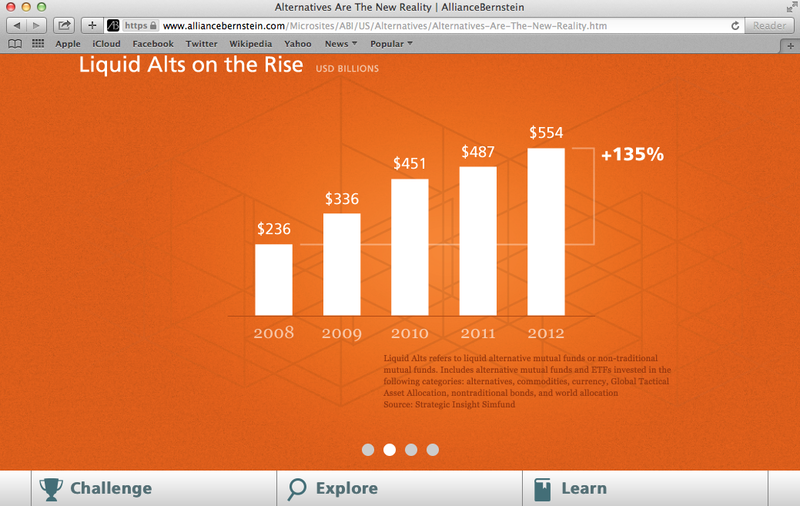 We created this interactive microsite for AllianceBernstein to serve as a resource for investors looking to learn more about alternative investments. Users can take a quiz, explore background information and search the company’s related product offerings—all in one seamless interactive experience.